DM420 is a type of two-phase hybrid stepping motor driver. The driver voltage is from 12VDC to 36VDC. It is designed for use with 2-phase hybrid stepper motor of all kinds with 20mm to 42mm outside diameter and less than 2.0A phase current. It enables the motor to run smoothly almost without noise and vibration. 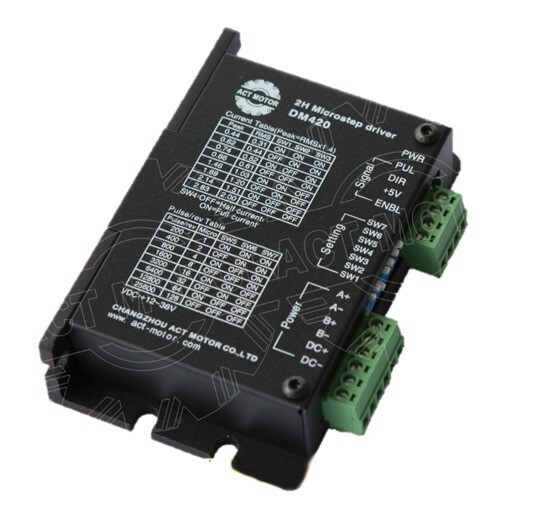 Holding torque when DM420A rund at high speed is also significantly higher than the other two-phase drivers, what’s more, the positioning accuracy is also higher.